Frnds..Is there any limitations for installing apps?? sale of this phone is going really well..i tried it at around 10 shops in ma place and also at sony dealers..everywhere this phone is sold out..1 gb ram at this price and the brand is doing well for sony.. I bought sony xperia M sday. if i remove my headphone mobile gets switched off automatically ? why is it happening? please give me the reason?? 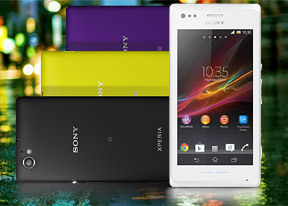 Frnds, I ordered for xperia m single sim. Intially the rating on the site was 70, now its 49. Have I done mistake ordering the phone? Pl help me out. Areeb, 04 Sep 2013guyzz please sugest me which color is the best amongst the colors in xperia M and xperia M dua... morei think purple looks better..
still confused !! m or l?? and one more thing..which online store gives the lowest price? guyzz please sugest me which color is the best amongst the colors in xperia M and xperia M dual... yellow or purple...?? guyzz whu r using xperia M which color is the best amongst ol of them? it wud b great if u'hd suggest me which color to go for.. I am surprised they did not compare the Xperia M with LG Optimus F3. Clearly these two phones are supposed to be in the same class, yet Optimus F3 seems to outperform the hell out of this Xperia and since this one does not have the Bravia Engine going for it, why would you ever want to buy it, right? That siad, I would love for the experts here to prove me wrong. plz plz plz do not by sony xperia M i am begging you peopel it's too bad set i have never seen i my life. i got this set 2 day's back and it is haveing audio problem auto power off problem headphone is too bad no headphone output.